ABS or Acrylonitrile Butadiene Styrene is a man-made synthetic material used in many industries because of its hard wearing strength and durability. It is typically used for things like hard hats, luggage, golf carts, toys and piping. ABS can be painted and comes in a range of 18 Standard colours. 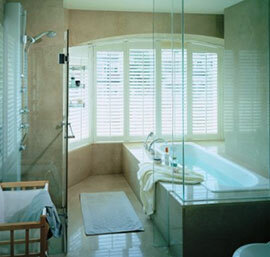 ABS was developed specifically for use in wet areas such as bathrooms and laundries, however it has become quite popular as a shutter to use anywhere in the home. Although it is a waterproof product, it is only for internal use. ABS also comes with a Waterproof option which incorporates the use of ABS for the complete Shutter and also uses Stainless Steel Hardware. 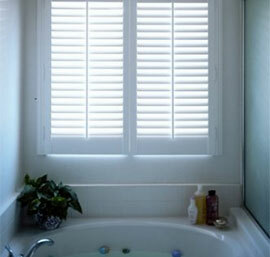 The ABS Blades have a cellular structure with a timber insert. The air pockets formed by this structure provide thermal resistance which will help to insulate both from heat and cold.